Van Buren County (pop. 76,258) is west of Kalamazoo County, along Lake Michigan. It is one of four counties named for President Martin Van Buren (1782-1862) – although it got its name when he was Andrew Jackson’s secretary of state, before he became president. “The Little Magician” was 5′ 6″ tall. The county seat of Van Buren County is the village of Paw Paw (pop. 3,534). It got its name from the paw paw trees along the Paw Paw River. 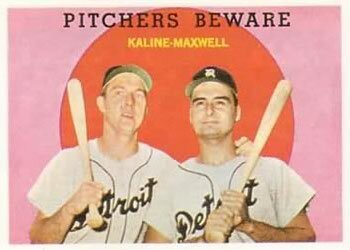 Outfielder Charlie Maxwell, who played in the major leagues from 1950 to 1964, grew up in Paw Paw. Paw Paw, in a grape-growing area, has an annual Wine and Harvest Festival. The largest city in Van Buren County is South Haven (pop. 4,403), which is partially in Allegan County. The South Haven South Pierhead Light, at the mouth of the Black River, dates from 1903. South Haven is the home of the National Blueberry Festival. The city of Gobles (pop. 829) is the home of the Timber Ridge Ski Area, which opened in 1961. The village of Decatur (pop. 1,819) was the hometown of Edgar Bergen (1903-1978) – actor, ventriloquist, and father of actress Candice Bergen. The village of Mattawan (pop. 1,997) was the hometown of Marian and Vivian Brown, the “San Francisco Twins,” born Jan. 25, 1927. Starting in the 1970s, they became local celebrities on the San Francisco social scene. This entry was posted in Michigan and tagged Edgar Bergen, Mattawan, National Blueberry Festival, Paw Paw, San Francisco Twins, South Haven, Timber Ridge Ski Area.